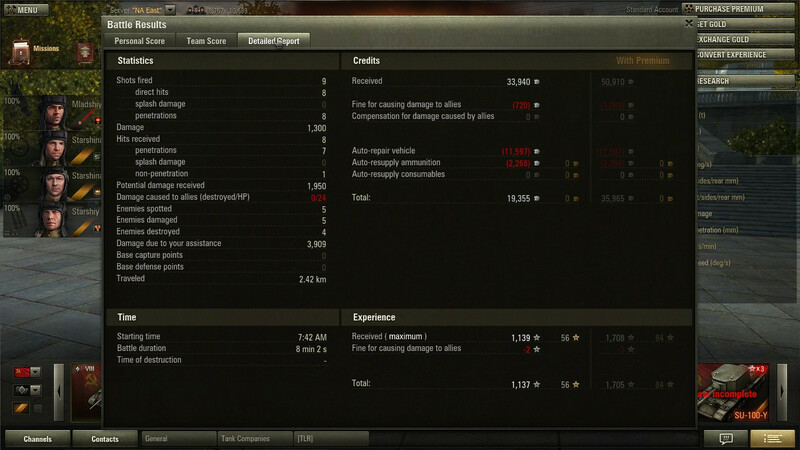 After 5 battles as bottom or mid tier, in which my T-44 is nothing but a larger light tank, I get put into a Tier 8 game on Murovanka, where all the heavy tanks decided to go camp in the forest and die uselessly. 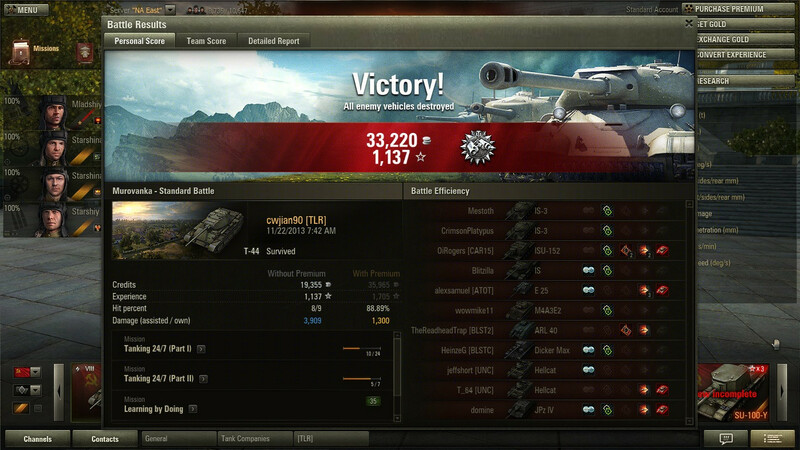 So for once, I get to act like a heavy tank and actually push the corner where they are supposed to be. 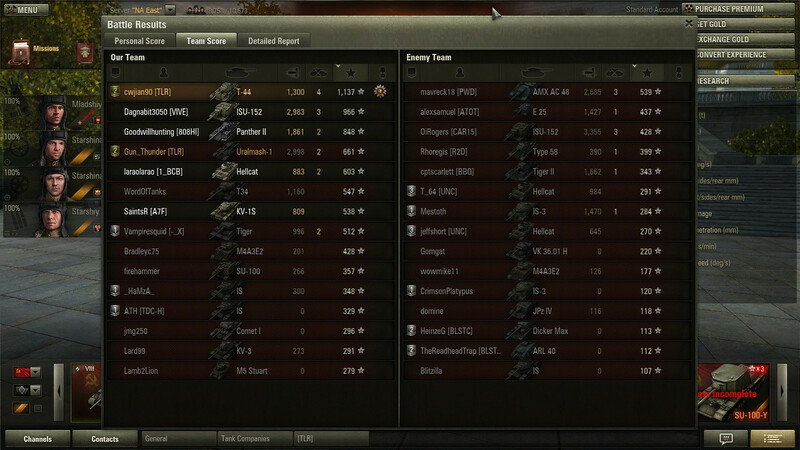 Also, today is apparently retard day on the NA server. Even more than usual.